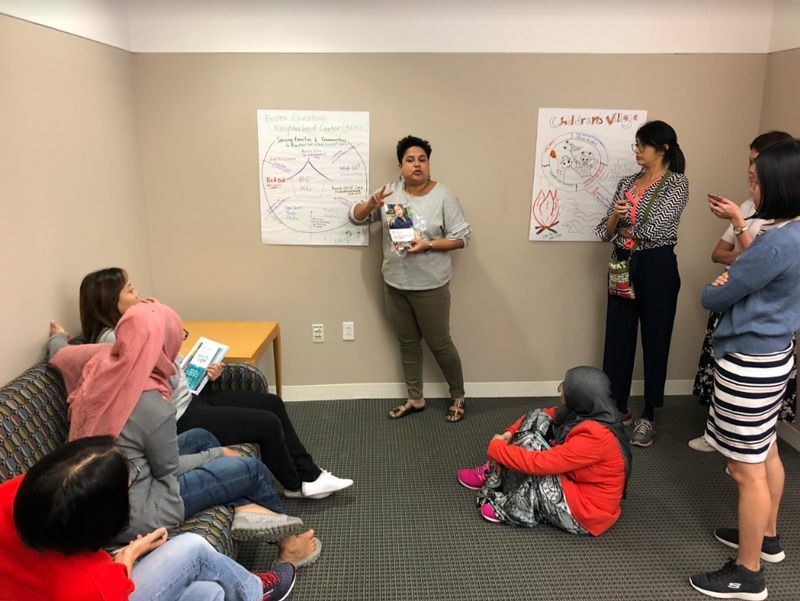 Two of Skool4Kidz’ centre leaders, Pardiwalla Christina and Vasandy D/O Sangaranayar Narayanayar attended a 12-day learning journey in Boston. The unique six-month leadership programme called Principal Matters 2018 comes under the education hub of the United States. The trip, from 20 to 31 October, was designed as “a catalyst for each principal’s change management project”. It includes ‘shadow’ opportunities for principals to learn from leaders in various contexts, such as Harvard University Center’s Developing Child and the Boston Children’s Museum. 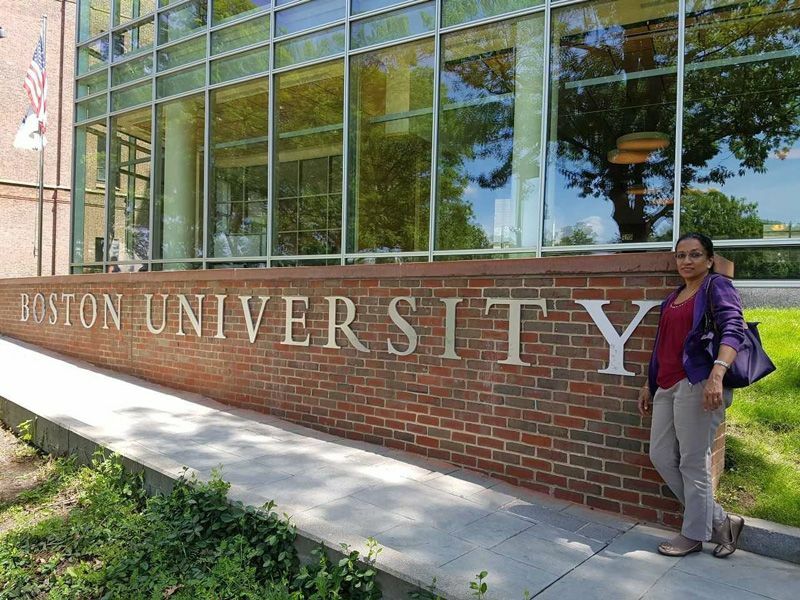 Ms Vasandy D/O Sangaranayar Narayanayar at Boston University. The two Skool4Kidz centre leaders were among 150 preschool principals selected for Principal Matters since 2016. Principal Matters is a unique leadership programme. Built atop a behavioural competency model, the programme is specially developed for Singapore’s preschool principals by Korn Ferry Hay Group. Sponsored by the Lien Foundation, the leadership programme aims “to nurture promising preschool principals in Singapore to drive long-term improvement in the sector”. The programme is free of charge and open to top-performing preschool principals. Candidates must have at least three years of experience as principals, who are committed to a long-term career in the sector. The programme consisted of a five-day experiential workshop and a 12-day learning visit to Boston, facilitated by Wheelock College. There were also several mentoring sessions spread over six months. Participants began the programme with an Experiential Workshop designed around experiential-learning principles. It provided a rich environment for principals to draw insights for their growth and development. Principal Matters focuses more on the practical, behavioural aspects of successful centre leadership. The programme is conducted by SEED Institute and Wheelock College in partnership with Sequoia Group. Sequoia Group is an organisation development specialist firm that trains senior government and corporate leaders. Participating principals will be measured via a 360-degree evaluation that tracks individual performance. A centre outcomes survey will also be carried out to track key performance indicators of a successful centre. Both Christina and Vasandy felt that the visit to the preschools in Boston was the most impactful. They had the opportunity to interact with the various centre leaders and to learn about their style of leadership. “The bonds and impact they have created in their work was something for me to take away. They too had similar issues like what we face here in Singapore but the positive attitude of the teachers, the professionalism and the love they have for their profession is amazing,” said Vasandy. For Christina, it was a wonderful, fun way to lean to become a change activist. “This learning experience has equipped me to help boost the dynamics and energy in the Skool4Kidz leadership team by contributing ideas, feedback and assistance for their development and growth,” she said. Ms Pardiwalla Christina in action!